The Finance Council is a group of lay persons established to advise the Pastor in business and financial matters pertaining to parish operations. The Finance Council is required in the parish based on Canon Law. Members serve to provide oversight of parish business operations and processes, and to formulate recommendations to the Pastor concerning business and finance matters pertaining to the parish. Appointment is by the Pastor for a 3-year term. The council meets on the fourth Monday of each month or as requested by the Pastor. Contact Ron Shade (304) at FinanceCouncil@stjameswv.org or call 725–5558. 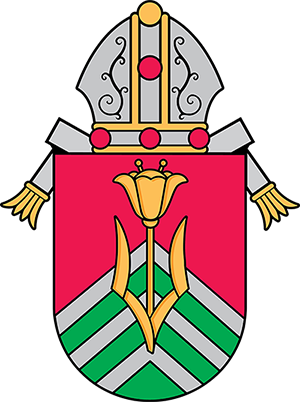 The Pastoral Council is a consultative body which unites laity and clergy in a community of prayer, leadership, service, and pastoral planning. The Council will plan, coordinate, and evaluate the ministries needed for the growth of a living parish community, and advise the Pastor. They hold one meeting each month, plus participation in retreats and faith formation. Contact Brian Diaz at PastoralCouncil@stjameswv.org or call (304) 535-1204. The Stewardship Council sets goals for the parish, and then facilitates and sponsors parish events which foster and encourage an understanding of stewardship as a way of life … that all we have is a gift from God and that we are called to thank Him by sharing those gifts with others. The selection of members for this Council is determined by the Pastor. This Council will identify, plan, and implement activities and programs that offer windows of opportunity for involvement in parish life, strengthen our faith community, and promote a deeper understanding of stewardship. Contact Dn. Dave Galvin at deacon@stjameswv.org or call (304) 725-5558.